APA is happy to introduce two new staff members. 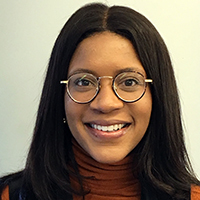 As APA's new Marketing Associate, Ariana will be responsible for developing and executing marketing tactics supporting membership, AICP, and the APA Foundation. She will create content, coordinate projects, and monitor the results of marketing activities. Ariana's background includes association and philanthropic marketing and program support. She earned a bachelor's degree in Communication from the University of Illinois at Urbana-Champaign and a master's in Integrated Marketing Communications from Roosevelt University. Most recently, she was a business development and marketing specialist at a Chicago-based law firm, where she developed and executed marketing plans, and planned and managed events. 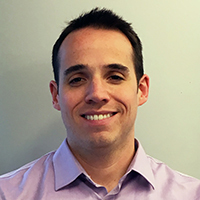 Cory will help guide the technical direction for APA's software development and data team, build software tools, and engage with all departments and APA members to gather feedback, inform decisions, and make best use of our web and mobile apps. Cory has a background in both planning and technology. After earning his degree in Urban and Public Affairs from the University of Illinois at Chicago, his interest in both technology and planning led him to work with a startup focused on smart city applications. More recently, he worked as a software engineer in an architecture firm, where he developed a 3D urban planning app that simulates sustainability performance from userinput. Both Ariana and Cory are based in our Chicago office. Welcome to APA!